There are a few types of companies that an entrepreneur may open in Montenegro: the sole proprietorship, the general partnership, the limited partnership, the limited liability company and the joint stock company. Our experts in company registration in Montenegro can help you select a company type and register it with the Central Registry of Montenegro. The sole proprietorship is the smallest form a business can take in Montenegro. It doesn’t require any minimum share capital and the personal goods of the entrepreneur are not protected in case the company cannot pay its debts. The limited liability company (Drutvo s ogranienom odgovornou) is the most common form a business can take in Montenegro because it’s advantageous incorporation procedures. Only 1 Euro is required as a minimum share capital and the company may be formed by at least one shareholder. However the number of shareholders may not exceed 30. If the share capital exceeds 25,000 Euro than the company may be reorganized after a few procedures as a joint stock company. A joint stock company (Akcionarsko drutvo) is a type of business designed for high capital investors. The minimum share capital of an A.D is 25,000 Euro paid in cash. The decisions are taken by the General Meeting of the shareholders which appoints a Board of Directors as managing body. Also an auditor is required for this type of business that will check the company books every year. Our company formation experts in Montenegro can give you more information about the joint stock company. The general partnership (Ortako drutvo) doesn’t require a minimum share capital and may be registered with the Central Register of the Commercial Court but it’s not mandatory. The registration status must include: the name of the partnership and the name and addresses of the partners. Also an agreement may be signed but it’s not compulsory. All the partners are liable for the company’s debts and the partnership might be dissolved if the term stated in the Articles of Association has expired or at the death or bankruptcy of one of the partners. The limited liability partnership (Komanditno drutvo) is formed by two parties: the general partners and the limited partners. The general partners are liable for the company’s debts, unlike the silent partners, liable in the limit of the amount of capital invested. The limited partners have no decisional power and cannot ask for dissolution of the partnership. Also, if a third party requires being a part of the partnership, doesn’t need the consent from the limited partner. The dissolution of a limited partnership cannot occur at the death or bankruptcy of the limited partner. Foreign companies can also expand to Montenegro by opening either a branch office or a subsidiary. 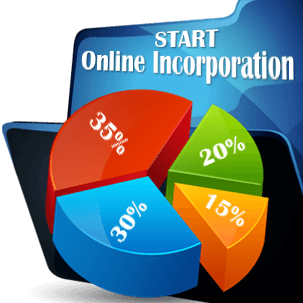 These business forms have different characteristics and our company registration consultants in Montenegro can offer you more details about them. No matter the company type you choose for your business in Montenegro, our local agents are ready to take care of all the administrative and legal aspects when opening a company in the country. Contact our company registration experts in Montenegro for a personalized offer. German investors interested in starting businesses in Montenegro or in other countries, please contact our partner: Firmengründung in Montenegro.